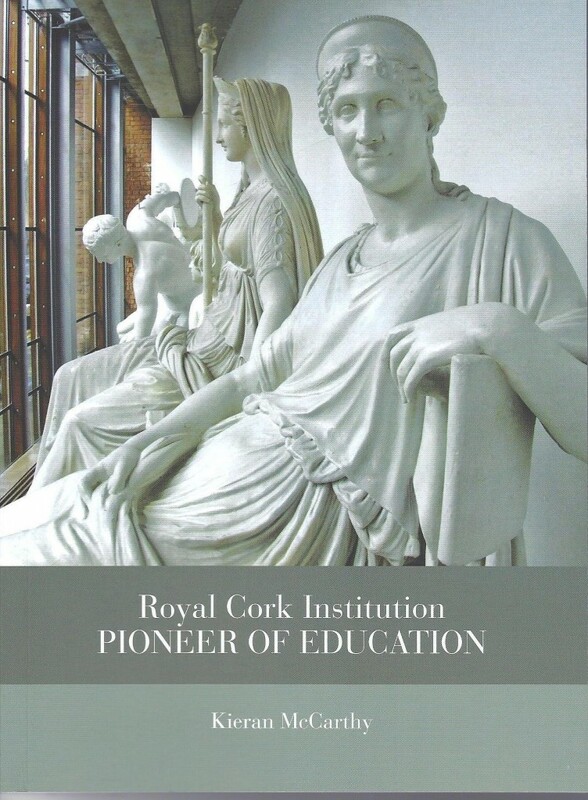 Royal Cork Institution: Pioneer of Education is the title of my new book. 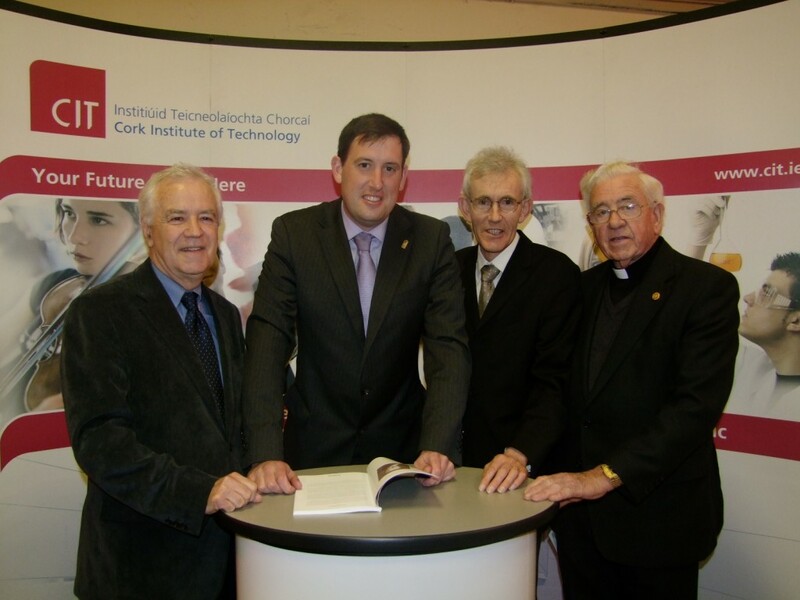 It is published and funded by Cork Institution of Technology. In this volume I try to shed light on an important aspect of the educational heritage of the city which, in the nineteenth century, laid important foundation stones for our twenty-first century education. Although little remembered or spoken of in current day Cork, the Royal Cork Institution was remarkable in its time and the city owes a great debt to those who founded, developed and maintained that institution. Cork Institute of Technology, particularly it’s Science Faculty and its constituent schools of the Crawford College of Art and Design and the Cork School of Music can trace their origins back to the influences of the Royal Cork Institution. This establishment also played a critical role in the movement that led to the foundation of Queens College Cork, later re-named as University College Cork. In the early nineteenth century Cork city, the Royal Cork Institution was the home of cultural life. Based on institutions established in the late eighteenth century, the Royal Cork Institution was founded in 1803 by Rev Thomas Dix Hincks, Minister of the old Presbyterian Church in Princes Street. From small beginnings at premises on the South Mall, the Royal Cork Institution planned and maintained itself as a Westminster government supported research centre for over seventy years. With energetic membership, the Institution served a whole range of educational interests for the citizens of Cork and offered formal education but with no certificates or qualifications. Courses were given along with public lectures on various aspects of science and the application of scientific principles to industry and agriculture. In essence, the Institution pioneered the concept of adult and technical education and became a prominent cultural institution amongst many others in Western Europe, which were all aiming to advance moral and intellectual values of its members. The extant minute books of the Royal Cork Institution provide a lens to explore the human aspects of nineteenth century life in Cork. The Institution was a pioneer in attaining improvements in adult and technical education amongst the general public. Many of its activities were taken over later by the State and by educational institutions, all of which we are now inclined to take for granted. Early records of its activities are not preserved, but from those at our disposal, it would appear that they interested themselves in the general education of the Cork public and technical progress. The non-specialist was given access to new areas of ‘useful knowledge’. Lecturers thought and taught about innovation and ingenuity in the nineteenth century world. The premises on the South Mall also became a site of sociability. It was a centre for the middle classes to mix, to become known and come face to face with culture. On a daily basis, there was a transfer of knowledge as members and subscribers accessed gossip and political knowledge. In a sense, the Royal Cork Institution contributed to technological change and to broader cultural ambitions within local society as well as facilitating rapid cultural change. as the ‘Athens of Ireland’. The first half of the nineteenth century became a ‘golden era’ in the city’s cultural history, a time when the city itself was alive with artistic activity. This reputation was secured by a group of young men who matured together during this period and later became internationally renowned as artists, sculptors and writers. The most prominent individuals were educationalists such as Rev Thomas Dix Hincks, artists, Daniel Maclise and John Hogan and writers, William Maginn, Francis Mahony, J.J. Callanan, Crofton Croker and Samuel Carter Hall. The library of the Royal Cork Institution helped in the cultivation of knowledge and provided a specialised service to doctors and lawyers. A botanic garden was established at Ballyphehane, now the site of St Joseph’s Cemetery. From its foundation until 1826, the Institution was in receipt of an annual grant from the Westminster Parliament. Compensation for the withdrawal of this grant came in the form of the British government presenting the premises of Cork’s former eighteenth century Custom House (now the Crawford Art Gallery on Emmet Place) to the Institution. This provided greater space for a wide range of activities. The most popular of these included demonstrations in chemistry, electricity, botany and mineralogy. Science had the vibrant appeal of an amateur study plus the curiosity of something new. The Institution’s repository of classical casts also contributed powerfully to the early artistic training of Corkonians. In the decades of the 1830s and 1840s, the Royal Cork Institution influenced the British government, through public appeal, in its decision to establish a university not only in Cork, but in Galway and Belfast too. This book is about what we have inherited from individuals whose contribution has inspired, influenced and now contributes to our modern society. My sincere thanks to former registrar of CIT Brendan Goggin and all at Cork Institute of Technology for their vision with this project. The book is available from Waterstones on St. Patrick’s Street and Liam Ruiseall’s or alternatively email citric@cit.ie for more details.